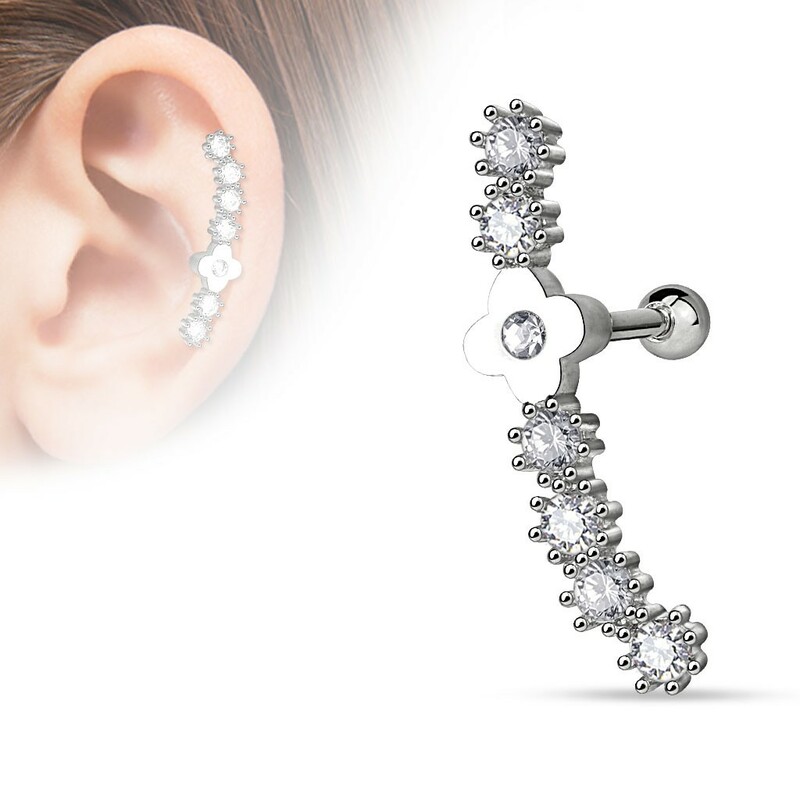 This feminine helix piercing managed to combine small and thin with long and striking. Whether you pick the gold plated version or the steel one, both fall evenly elegant on the edge of the ear and both know how to create those strong desired sparkles with their long row of crystals. With a length of 2.5 centimeters this piercing is a bit too long for the tragus and thus meant for the edge of the ear. This helix piercing can both be worn on the left or right side were it will follow the curve of the ear. If you want to wear it on the left side you have to make sure the gold or silver plus is on the bottom. For the right ear the plug should be at the top.